Youtube star JP Sears on "The Tony Robbins Experience"
If you’ve ever been to Date with Destiny, then you’re familiar with the hilarious video Tony shows to the audience about How to be Ultra Spiritual. JP Sears, the man behind the Ultra Spiritualist character, is a master at parody, and we jumped at the chance to collaborate with him on a video. The topic? The Ultra Spiritualist’s experience at Unleash the Power Within (UPW). In the video, the Ultra Spiritualist prepares for UPW by buying several Tony Robbins books… and then puts them on a vision board instead of reading them. He also covers the importance of stage selfies for developing more social media cred, and how physiology, focus and language determine your state – “Which I think is Tony’s way of saying ‘Drink more coffee,’” he adds. 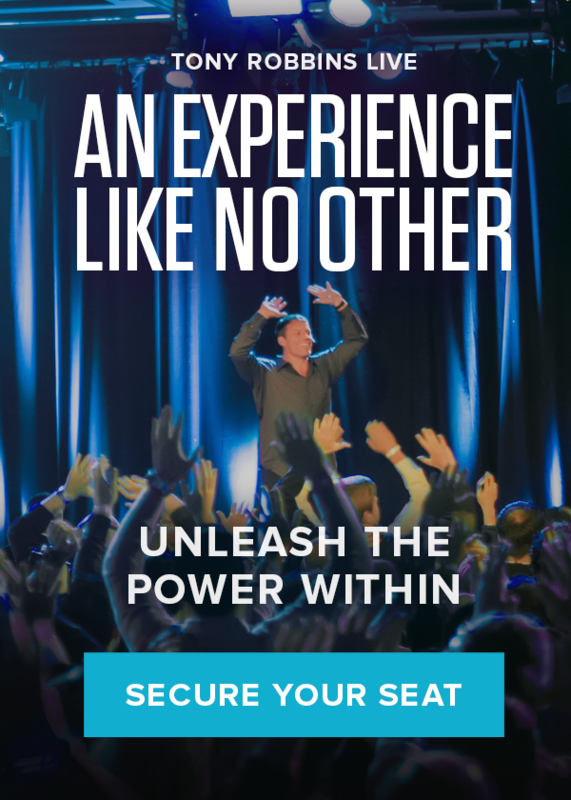 Unleash the Power Within is a live 3 ½ day event with Tony Robbins designed to help you unlock and unleash the forces inside that can help you break through any limit and create the quality of life you desire. Discover how to surpass your own limitations to achieve your goals and take control of your life.